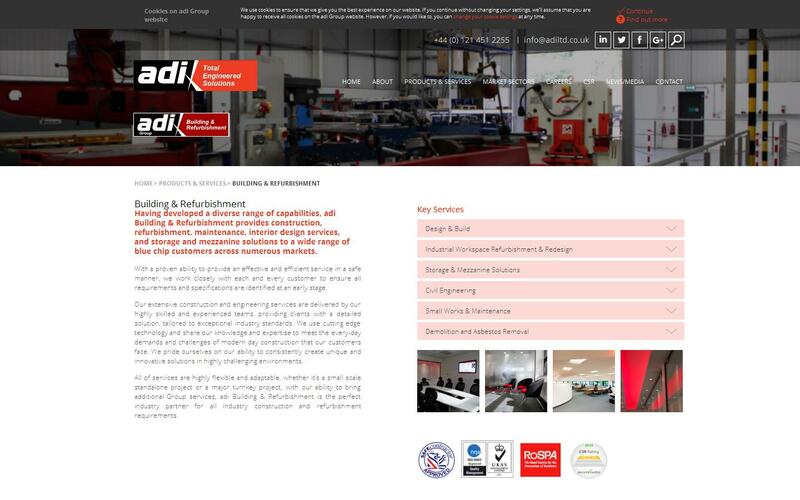 Formerly known as adi Interiors, adi Building & Refurbishment provides construction, refurbishment, maintenance, interior design services, and storage and mezzanine solutions to a wide range of blue chip customers across numerous markets. With a proven ability to provide an effective and efficient service in a safe manner, we work closely with each and every customer to ensure all requirements and specifications are identified at an early stage. Our extensive construction and engineering services are delivered by our highly skilled and experienced teams, providing clients with a detailed solution, tailored to exceptional industry standards. We use cutting edge technology and share our knowledge and expertise to meet the every-day demands and challenges of modern day construction that our customers face. We pride ourselves on our ability to consistently create unique and innovative solutions in highly challenging environments.